The Housemartins were one of the few truly mod friendly bands to make the charts in the mid-80s. The band's version of jangly power pop combined with political and religious references throughout their songs made them one of the more unique bands of the decade. 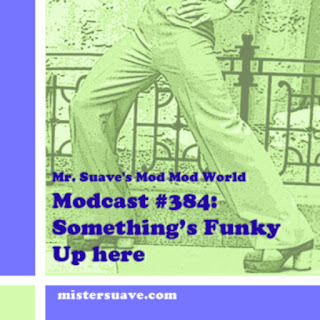 Their sound borrowed from pop music of the sixties, and had the jangly guitars, lilting vocals and driving beat that was just beginning to become popular among indie and alternative bands of the day. Formed in 1984 and hailing from Hull, The Housemartins third single, "Happy Hour", vaulted to #3 on the charts in 1986 and instantly made them one of the most popular bands in the UK. Their first LP London 0 Hull 4 followed suit and landed in the top ten. Singles released throughout the rest of the decade didn't do quite as well, though a fair number did manage to break into the top 20. Their only other full length release, The People Who Grinned Themselves To Death also made it into the top 10 cementing the band's legacy as bonafide hit makers and not just one hit wonders. Sadly, the band split in 1988 arguably at the top of their game. 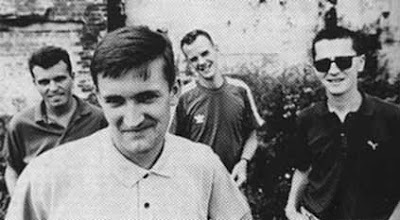 Lead singer Paul Heaton and drummer Dave Hemingway soon after formed the even more sucessful Beautiful South, in many ways continuing with a more advanced, more mature Housemartins sound. And that was a sound that apparently the public liked as the Beautiful South's "Carry On Up The Charts" best of disk became one of the biggest selling UK albums of all time, and they have had eight albums reach the top ten. Not to be outdone, bassist Norman Cook changed his stage name to Fat Boy Slim, and well as they say the rest is history. This track, "Anxious", is by far my favorite. It's one of their faster and edgier songs, and probably the most power poppish in their catalog. It jigs along, punctuated by Heaton's sharp, succinct vocal delivery, and backed by a catchy riff and chorus. Perhaps not the most representative of their overall sound (though it's not wildly off the mark) it is still a great song. Agree that Housemartins were way underrated. Just seeing what a couple of them went on to later proved how much talent and potential they had to start with.